1) How were there no top 10 shenanigans? In a draft touted for its star caliber and depth, no one traded out of the top 10. No one reached for a player they should've traded back for. Every team in the top 10 made a sensible pick that appeared to fit their roster, including and especially teams like Cleveland and Sacramento who have made questionable lottery selections in the past. How is this possible? Has this ever happened before? Will it ever happen again? It seems too good to be true. 2) Wiggins, Parker and Embiid went 1-2-3 as expected. 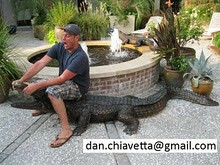 Who will this come back to bite? At this point in history, this is the universally accepted hierarchy for these three prospects.. Any of the three could go on to be a ten-time All-Star, and no one would be surprised. The Cavs may come to regret taking Wiggins, but going into next season, he's the best fit for their roster. The Bucks got what they wanted in Jabari Parker. Milwaukee needs a go-to guy to make a difference right away, and they believe that Parker is that player. The 76ers seem to still be in the preliminary stages of their rebuilding process. Embiid will most likely take two full seasons to rehabilitate and adjust to the NBA level. Their 12th pick, Dario Saric may not come to the NBA for two or three seasons, if at all, and their fans don't seem to mind. They're sold on a long term roster reconstruction, so everyone comes away feeling like a winner. For now. 3) Does Aaron Gordon to the Magic make perfect sense? How did we not see this all along? They're building an excellent defensive team in Orlando. Victor Oladipo, Aaron Gordon and Elfrid Payton have a lot in common in terms of being two-way players who work hard, are extremely competitive and all seem to really love the game of basketball. Whether Gordon plays the 3 or the 4, he and Vucevic can both protect the rim, and if he can continue to improve offensively, he'll be a great long term fit for Orlando. The Magic came into this draft knowing they needed an athletic big man and a point guard, and they executed a successful game plan. Time will tell if a Exum or Vonleh would've been a better choice, but I think Gordon is an excellent fit. 4) Dante Exum and Trey Burke are excited to play together, but who's the point guard? Exum to the Jazz is another smart pick by a rebuilding team. Utah has Favors and Kanter up front, and a budding wing man in Gordon Hayward. However, no one in Utah is sure if Trey Burke is a one or a two, and the same may be true for Exum. Considering he was the best player on the board for Utah, Exum's potential makes him worthy of gambling the fifth pick on. It will be interesting to see who handles the ball and in what capacity for the Jazz moving forward. 5) Does Marcus Smart's arrival in Boston signify the departure of Rajon Rando? It's unclear if Marcus Smart is expected to play in lieu of Rondo next season, or alongside him. For an organization with an aggressive front office and many tradable assets, anything is in play here. My guess is that Smart is truly a point guard, and the Celtics will look to move Rondo before his contract expires. While it may in fact be the best course of action for Boston, having Smart on their roster hurts their trade leverage in any deal involving Rondo, unless the Celtics proclaim a true desire to play both guards together at the same time. 6) Will Julius Randle have the chance to make a playoff run with Kobe Bryant in the next two seasons? 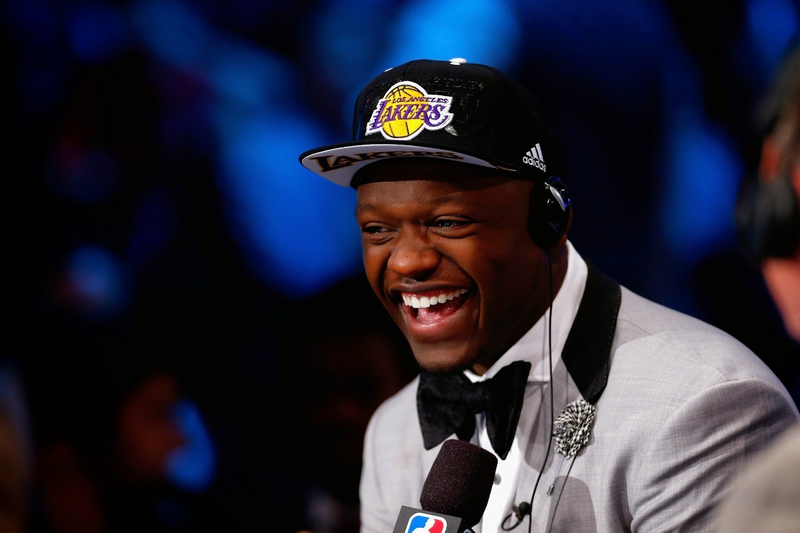 Randle could end up being a major steal for the Lakers at 7. He might be the most NBA-ready player in the draft next to Jabari Parker, which is good news for a Los Angeles team eager to get back into the playoff picture in the West. The Lakers desperately need a quality big man, and there aren't many in free agency. If Randle can contribute right away, and Kobe Bryant's legs can hold up despite multiple injuries, the Lakers could be just one or two players away. If not, it could get ugly. Quick. LA still hasn't hired a coach, and it would be a shame to see an aging Kobe berate and ostracize Randle the way he did with Dwight Howard. 7) Were the seven best prospects taken with the top seven picks? Depending on how you feel about Noah Vonleh, it seems so. 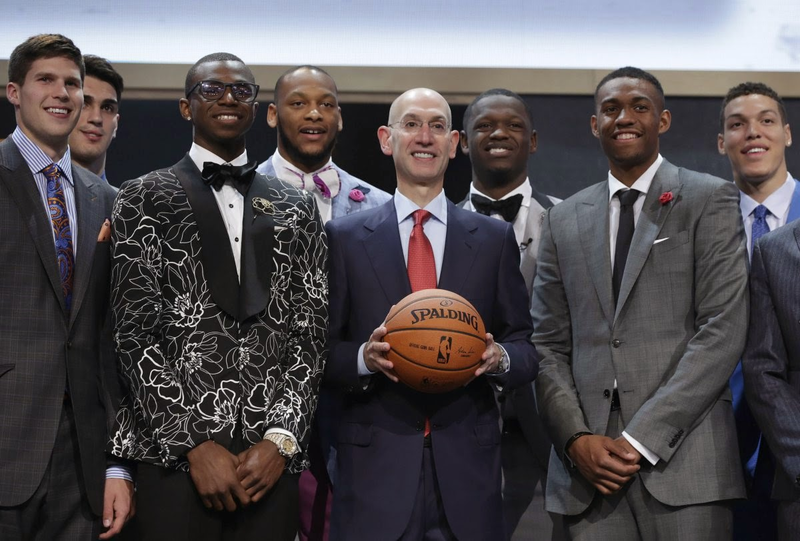 The NBA Draft, like most amateur drafts, is a crapshoot. We convince ourselves that there are tiers and clear differences in potential, and we're proven wrong every year. However, something about this draft feels different, and it wouldn't surprise me at all is Wiggins, Parker, Embiid, Gordon, Exum, Smart and Randle separate themselves from the rest of the prospects in this draft. All seven have shown rare talent and All-NBA potential. In the stage that the Kings are in, they could realistically stand to upgrade spots 1-4 around DeMarcus Cousins. McLemore struggled despite playing at 82 games last season, and Stauskas gives them a quality player and roster flexibility going forward. 9) If Noah Vonleh is the player some scouts think he is, how good could the Charlotte Hornets be? The Hornets were the only playoff team drafting in the top 10. They have plenty of cap space to sign one or more quality free agents, and if their young players continue to develop, and Al Jefferson can stay healthy, it's possible that Charlotte could win 50+ games and host a second round playoff series as early as next season. Keep an eye on the Hornets as a possible destination for second tier free agents like Luol Deng, Pau Gasol, and Kyle Lowry. 10) Can Doug McDermott play defense well enough to stay on the floor for Chicago? My gut feeling is yes. The Bulls like to play big up front, so it's hard to imagine him playing the stretch 4, at least right away. Tom Thibodeau likes to keep a small rotation, and has a history of burying players on the bench if they can't defend their position. He also has a history of getting the most out of his guys, and this feels like a good value for a playoff team trading up for a lottery talent. He'll help to stretch the floor and add scoring on the wing of an offense that desperately needs it. McDermott could carry a depleted bench unit, or even become a trade asset in a deal for a star player like Kevin Love or Carmelo Anthony. 11) Can and will Zach LaVine earn back the respect of Minnesota fans? Poor Timberwolves fans, who are already moving on from Kevin Love even though he's still on the team. LaVine's frustration is understandable. I would be upset if I was essentially forced to work in Minnesota for between 4 and 8 years. Although, on live television, in front of millions of people, he pouted like a grade schooler who got picked last in a playground game. So many of the players drafted before him were gracious, humble, and overwhelmed by the moment. LaVine, by contrast, seemed irritated. It will be interesting to see how he tries to spin this blunder going forward, and how quick Wolves fans are to forgive and forget. 12) Does it make sense for Phoenix to start next season with Dragic, Bledsoe, AND Tyler Ennis? I think they can make it work, but this feels like the beginning of the end for someone in the Suns backcourt. It seems more likely that they would look to move Bledsoe, considering his contract status, injury history, and streaky long-range shooting. However, an Ennis-Dragic back court would be small and could have a lot of trouble defending many of the young guard combinations in the Western Conference. There's also a chance that Ennis plays a limited role next season, and that Phoenix uses the last year of Eric Bledsoe's rookie contract to scout their young talent before making a decision. 13) Is it okay for Knicks fans to be irrationally thrilled with their two second round picks? YES, YES, and YES a third time! As a native New Yorker, I like to think that Phil Jackson pulled two rabbits out of his hat, when last week, he didn't even have a hat to pull rabbits out of. Cleanthony Early went 10 picks too late, regardless of the concerns about his true position in the NBA. No one knows much about Thanasis Antetotokounmpo other than the fact that he's the Greek Freak's brother, but that paired with his lone season in the D-League is enough to make New Yorkers excited for his arrival. Depending on whether or not Carmelo Anthony returns to The Big Apple, both draft picks could carve out a role for themselves immediately on a Knicks team looking to turn over a new leaf. 14) Is Lebron James the reason the Miami Heat drafted Shabazz Napier? Now to be fair, the since-deleted tweet coincided almost exactly with the timing of NBA TV's mock draft announcement that the Lakers would select the oft-injured big man at #7. 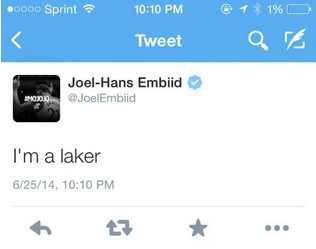 But still, that is a highly questionable tweet to send out, without context, less than 24 hours before the draft. 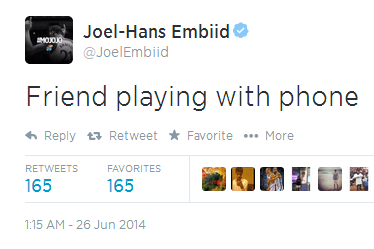 Like a backtracking boyfriend, Embiid blamed the mobile screw up on his "friend." Welcome to the 2 Man Weave's 2014 NBA Mock Draft! We're just one day away from what is sure to be one of the most memorable drafts in recent memory. The #1 pick is still up for grabs (both with the player who will be chosen and the team that will ultimately make the selection), we've got All Stars on the trading block (Kevin Love) and a handful of teams desperately trying to shed cap space in order to create the most appealing offer to one of the two newly announced free agents, LeBron James and Carmelo Anthony. For the mock draft fellow 2MW contributor John Fontanelli and I went back and forth making selections for each of the 30 picks in the first round (I got first pick thanks to a cross country, over-the-phone coin flip). Since draft day trades are both rampant and unpredictable, we proceeded under the guise that each team is going to be selecting from the slot they are currently slated in. So sit back, relax, and get ready for take off. For the third time in four years, Cleveland is on the clock. As recently as a week ago, it was a foregone conclusion that it would be Wiggins' teammate, Joel Embiid, heading to Cleveland with the first pick. But after suffering a stress fracture, possibly during a workout for the Cavs (talk about a bad omen), I think Dan Gilbert goes upside here, provided one of the countless offers he's undoubtedly receiving doesn't sway him to move down in the draft. Wiggins, a second-team All-American in his first and only year as a Jayhawk, is the most physically gifted prospect to enter the league since Dwight Howard a decade ago, and should make for a perfect running mate alongside Dion Waiters and Kyrie Irving for the next decade to come. They have a chance to become the greatest show on court. -D.C. The Bucks need help everywhere. They've committed over $100 million in guaranteed salary to Ersan Ilyasova and Larry Sanders, and there are huge question marks surrounding both. Joel Embiid could be a franchise center and a defensive anchor if he can stay healthy, but in a draft as loaded as this one, it's too early to gamble on such a risky player. They'd also like to move Brandon Knight to the two guard, and bringing in a more talented point guard like Dante Exum makes sense here too. 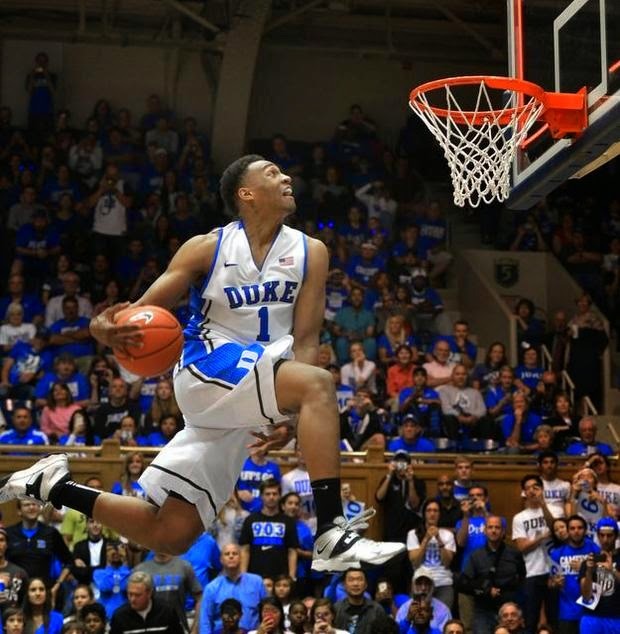 Ultimately, they'll select Jabari Parker, the most NBA-ready player in the draft with the most translatable skill: scoring. He can light it up from anywhere, and he'll make an impact immediately. In league full of great wing players, having a perimeter scorer who can also play in the paint is a huge asset, and Parker will make up for Milwaukee whiffing on O.J. Mayo in free agency last summer. He may struggle to find a position at first, and questions have been raised about his defensive viability, but every scout who's studied him believes he'll be a ten-year pro. -J.F. Sixers GM Sam Hinkie has made it perfectly clear that he is taking a long-term approach to his job. Their rebuilding process began a year ago when they flipped Jrue Holiday for Nerlans Noel (#6 pick in 2013 draft) and the #10 pick in this year’s draft, then followed that up with the most blatant tank job in recent memory, all the while grooming the 2014 Rookie of the Year Michael Carter-Williams. 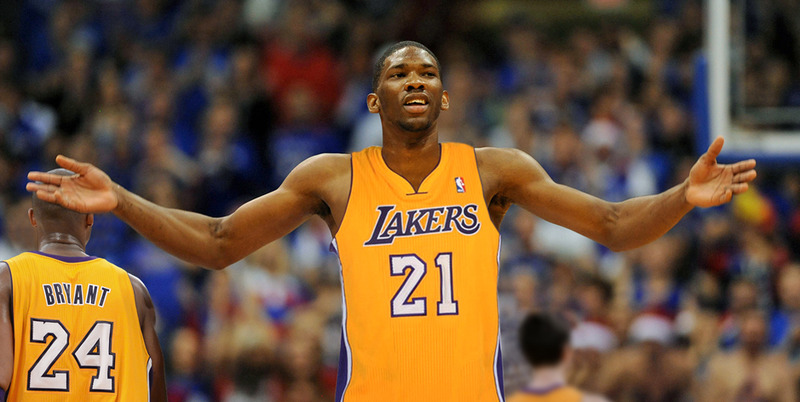 If Philly is unable to swing a deal for Wiggins, I think they jump at the chance to land a #1 overall pick talent like Embiid. He’s been compared to a young Hakeem and has the potential to change the game at both ends of the court, provided he can stay healthy. This team is in no rush to contend, and could benefit by taking the same wait-and-see approach with Embiid that they took with Noel, landing another high lottery pick in 2015, before going to battle with a potential lineup oozing with lottery talent in 2016. -D.C. The Magic are waist-deep in the middle of a rebuilding project that began when they traded Dwight Howard in 2012. Victor Oladipo is a solid two-way player, but they need a true point guard. Marcus Smart has been mentioned, although the potential star quality surrounding Exum is too much to pass up here. He's 6'6" with all the tools to be a future All-NBA guard. If he can prove himself as a capable shooter and committed defender, Exum and Oladipo could develop into the most versatile backcourt in the Eastern Conference. -J.F. Ever since parting ways with Deron Williams, Utah’s lone identity has been a logjam in their front line. Well that’s all about to change with the addition of Marcus Smart, a feisty guard from Oklahoma State with damn near 18/6/5 splits. The West is flooded with talent, especially at the point guard position, and Smart is the type of player who can create havoc and stay in front of his man. The Jazz traded for Try Burke at last year’s draft, but with Gordon Hayward hitting free agency, and guys like Ian Clark, Diante Garrett (Diante who? Exactly) and Brandon Rush currently employed in their backcourt, there’s more than enough room for Smart to shine. -D.C. There's a log jam of talented freshman power forwards in the middle of the lottery. Aaron Gordon and Noah Vonleh are tantalizing options, and Randle's foot is a cause for concern, but Danny Ainge isn't afraid of high-risk, high-reward decisions. Randle possesses a rare combination of size and skill, and will bolster an undersized Boston front court. He's a tough, complete player unafraid of the spotlight, and is entering an ideal situation with a rebuilding team, a player-friendly coach, and an unselfish veteran point guard. -J.F. As of right now the only Lakers players currently under contract for next season are Kobe Bryant and the corpse of Steve Nash. They’re going to part ways with Pau Gasol, and depending on how many trips #24 makes to Germany this off-season, will more than likely find themselves in the same situation at this time next year. Kyle Lowry is an intriguing option once free agency opens up, but regardless of who else they sign, there will plenty of minutes for Vonleh, the highly touted freshman out of Indiana. At 6’10" he’s been compared to everyone from Jamal Mashburn to Chris Bosh. The knock on Vonleh is that at times, it seemed as if he disappeared on the court during his lone year in Bloomington, and the fact that he couldn’t will the Hoosiers to an NCAA tournament berth on his own is less than encouraging. But still, a big man with range has become the hottest of commodities in today’s NBA. I would have liked to see L.A. take Julius Randle with this pick, but Vonleh’s not a bad consolation prize, and an interesting piece of the Lakers puzzle moving forward. -D.C. In the game of power forward musical chairs, Sacramento is happy to have a seat open for Gordon. The Kings are slowly but surely putting together a balanced roster around Boogie Cousins. They drafted a dynamic guard in Isaiah Thomas with the 60th pick in the 2011 draft, paired him with a capable shooter in Ben McLemore, and traded for a proven wing in Rudy Gay. The missing piece is an athletic, young power forward to run the floor and relieve DeMarcus of doing some of the dirty work down low. Gordon's shooting is atrocious, but his athleticism and positive attitude make him a great addition to a Kings team fighting to climb from the bottom of a loaded Western Conference. -J.F. First off, can I just say if feels great to type out the phrase “Charlotte Hornets” again? Everybody dust off those old Starter jackets and give it up one time for Buzz City! In a perfect world, Charlotte moves this pick for Aaron Affalo, a top five 2-guard on a favorable deal, whom Orlando is desperately trying to move in an honorable quest to become the youngest team in the history of the league. However, if the Hornets keep their pick, Gary Harris has got to be their guy. 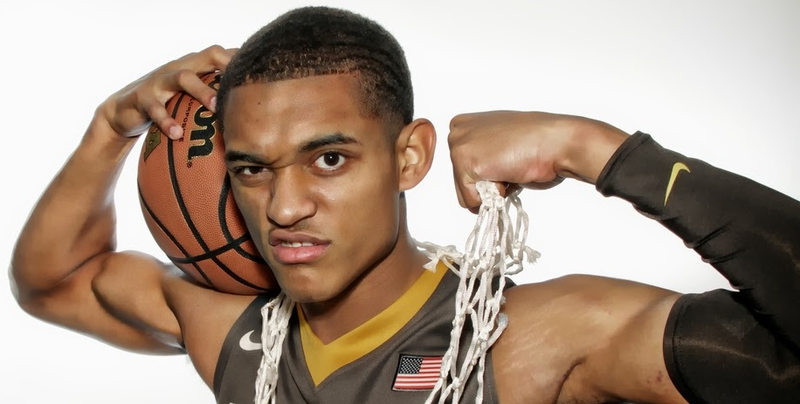 At 6’4”, 210 pounds with a beautiful stroke, Harris has the size and skills to start right away at shooting guard for this playoff caliber team. I see a lot of Bradley Beal in his game, and his numbers in college were better than Beal's in almost every statistical category. The Bobcats finished in the top 10 defensively in their farewell season, and lockdown wingman Michael Kidd-Gilchrist should be able to minimize Harris’ growing pains on that side of the court. 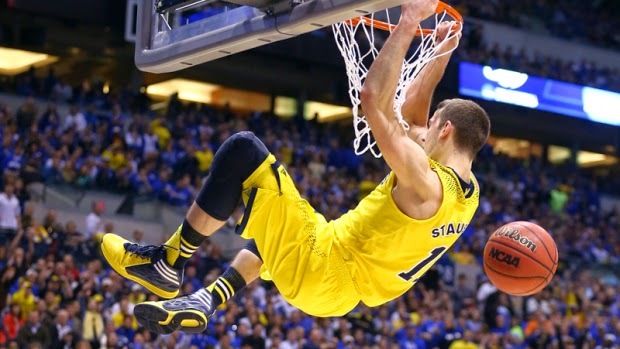 -D.C.
After adding Embiid, the 76ers will address their need for wing scoring with Stauskas. He's a more well-rounded and athletic two-way player than Doug McDermott, and one of the best shooters in a draft brimming with quality shooters. His ability to knockdown 3's will complement the attacking style of last season's Rookie of the Year Michael Carter-Williams, whose 40/26/70 shooting splits leave a lot to be desired. By contrast, Stauskas shot 44% from 3-point range in college, and at only 20 years old, he will have room to grow on a patient team committed to developing young talent. -J.F. Let’s make it three in a row from the Wolverine State! Payne was an absolute monster last March, leading the Spartans to an Elite 8 berth and a Big 10 tournament championship. He averaged 16.4 ppg and 7.3 rpg during his senior campaign, while sinking 44 of his 104 3-point attempts. The Nuggets have their defensive anchors set in McGee and Mosgov, their rebounder in “The Manimal” Ken Faried, and now they add some outside shooting to one of the most entertaining front courts in the league. And let us not undervalue the importance of high character when it comes to evaluating a player. 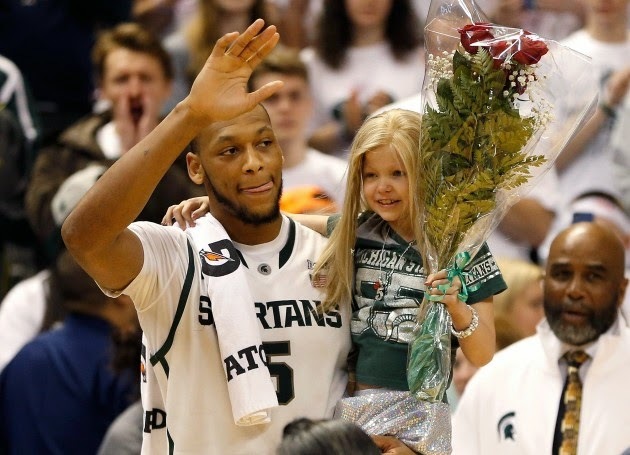 Who could forget Adreian’s touching tribute and everlasting friendship with Princess Lacey? An eight year-old girl who ultimately succumbed to her bout with cancer, but not before touching the life of the gentle giant and everyone around him. I see his career playing out as Al Harrington 2.0. Chucker jokes aside, 13.5 points per game for your career with over 2,200 made 2’s for 6’9” power forward is nothing to scoff at. -D.C.
Could a Montenegro-Croatian front court combination work in the NBA? The Orlando Magic intend to find out. With Vucevic anchoring the middle as a reliable rim protector, Saric's 6'10" frame and guard skills provide a perfect complement, as well as another big body to patrol the paint. The 20 year-old prospect has drawn comparisons to Boris Diaw and Lamar Odom, two players who found roles on championship teams because of their range of skills and intelligence. Saric recently signed a contract with Turkish club Anadolu Efes, an agreement that will keep him out of the NBA for at least the next two seasons. Orlando will use their second of two picks in the first round to stash Saric and count on him eventually making a voyage to, and an impact in, the United States. -J.F. The Wolves are going to need some instant offense to replace Kevin Love (what, too soon? ), and who better to do it than the NCAA’s 5th All-Time leading scoring, Doug McBuckets? McDermott finished up an illustrious collegiate career that including leading the nation in scoring last season, getting named to three consensus first team All-American teams, winning two Missouri Valley Conference Player of the Year awards, a Big East Player of the Year award and a National Player of the Year award. 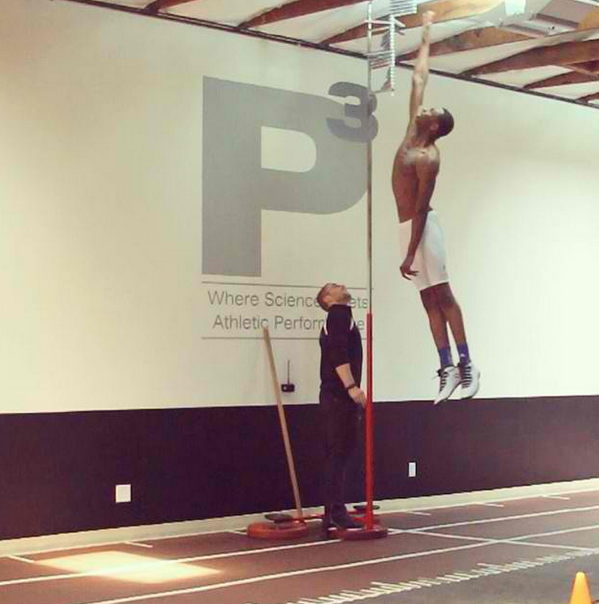 At 6’8” and just 218 pounds he is far more athletic than people give him credit for. I think he’ll finish up his career as a rich man’s Ryan Anderson, but more importantly a 10+ year veteran. If Minnesota does decide to defy all semblance of logic and play out next season with Love on their roster, he and Doug will make for a pretty awesome Polar Bear Plunge duo (aka Splash Bros of the North). -D.C. The Suns have 3 picks in the first round of this year's draft (14, 18 and 27), so a variety of trades and draft strategies are in play here. It's been reported that they've been working out essentially every point guard projected to go in the top 50. However, they have Bledsoe and Dragic, and if Ennis and Napier are both still on the board, expect them to look for a wing player here with size and elite shooting ability. While P.J. Tucker and Gerald Green over-performed last year, Phoenix will fortify their roster with Young, a talented scorer who can play either the 2 or the 3, and fits in perfectly with coach Jeff Hornacek's slash-and-kick offense. -J.F. The obvious doppelganger here is Damian Lillard, and that alone should have fans in the ATL twisting their shirts around their head like Petey Pablo. Both are score-first point guards from mid-major schools who skyrocketed up draft boards in the weeks leading up to draft night. The scary thing is Payton is also an elite defender, a facet of his game that Lillard struggles with. Elfrid averaged 2.5 steals per game over his past two seasons at Louisiana Lafayette and is already drawing comparisons to another famous Payton... The Glove. -D.C. Hot sports take of the day: The Chicago Bulls need help on offense. Cue Rodney Hood, a 6'8" pure shooter who can come off the bench, or be inserted into the starting line-up, allowing Jimmy Butler the play the 3. Hood averaged 16.1 points per game in his sophomore year, and made 42% of his threes, making him an instant weapon for a Chicago team that's ready to win now. If he proves himself on the defensive end, he can be a key piece on a team with championship aspirations. -J.F. If LaVine is still sitting there at 17 then Boston may have no choice but to raise the ceiling at TD Bank Garden because this kid can straight up fly. LaVine is one of the most interesting prospect in this year’s draft because despite his out of this world athleticism (46 inch vert), his NBA skill set remains somewhat of a mystery. No one really knows whether or not he’s going to play the one or the two at the next level (he averaged just 1.8 apg at UCLA). The Russell Westbrook comparisons are both salivating and unavoidable, seeing as both guards played for the Bruins, showed flashes of brilliance, and have the ability to play multiple positions. If he pans out, Brad Stevens five year plan may expedite by a couple of seasons. Walking away from this draft with Randle and LaVine should have Celtics fans licking their chops for opening night. -D.C. 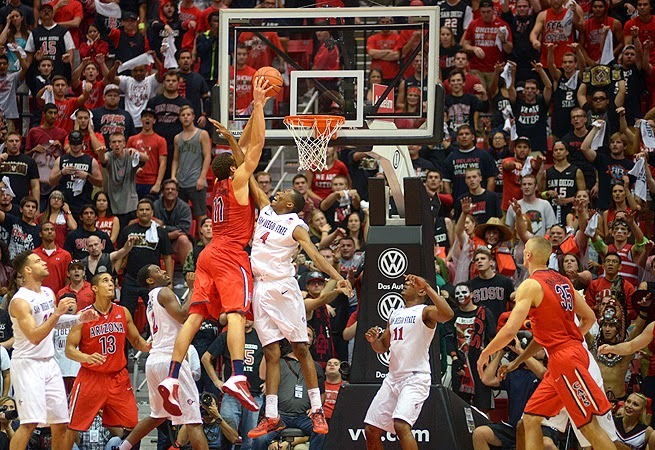 When the tournament ended, Napier was still seen by many as an early-to-mid second round talent. However, he's been impressive in workouts, has interviewed well, and has even jumped Syracuse freshman Tyler Ennis on many draft boards. On the surface, point guard doesn't appear to be a position of need for the Suns, but with Eric Bledsoe on the cusp of restricted free agency, along with his shaky health history, Phoenix appears to be determined to add a reliable third ball handler to their roster. Although a bit undersized, Napier has the physical tools, athletic ability, and leadership qualities to carve out a starting role for himself in the NBA. -J.F. Ennis blew up in a big way during his freshman season at Syracuse, averaging 13 ppg and 5.5 apg. His team rattled off 25 straight wins to start the season, including an 91-89 overtime thriller against Duke at the Carrier Dome. Unfortunately, things fell apart for the Orange in the NCAA tournament, losing to Dayton in heartbreaking fashion. Ennis came under much scrutiny for choosing to settle for jumpers in his team's final two possessions, rather than attacking the rim down 2 with the game on the line. But those 30 seconds should not define his incredible season, nor deter the Bulls from loading up on some D Rose insurance with this pick. D.J. Augustin earned himself a massive payday come July with his play this past season (13.1/4.4), and with another superstar potentially coming to town this summer (Melo or Love), they will have a very limited budget to work with. Ennis is one of eight Canadian-born players expected to be drafted on Thursday and I think he'll fit right in in the Windy City. -D.C. It's still unclear whether or not Toronto will attempt to resign Kyle Lowry, but conventional wisdom says they'll look to draft a point guard here. While they might prefer the more widely known Shabazz Napier or Canadian standout Tyler Ennis, the Raptors could certainly benefit from the length and athleticism Clarkson brings to the table. There are doubts about his jump shot, and whether or not his game is truly suited to play the point, but his 6'8" wingspan and ability to get into the paint make him a great value here for Toronto. -J.F. He's no James Harden, but he's no Jeremy Lamb either. Chad Ford calls TJ Warren "the second best pure scorer in this draft," and despite having the best scorer in universe, this team is in desperate need of additional help on the offensive end. 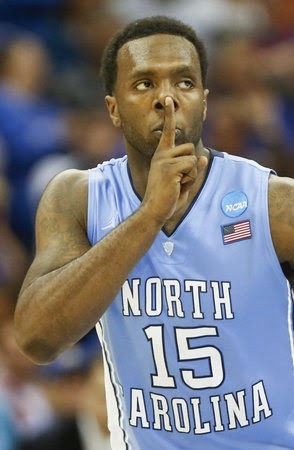 The sophomore out of NC State could shine if given the minutes soon to be vacated by Caron Butler and Thabo Sefolosha. It's time to get KD and Russ some help and I think Warren is perfect candidate for the job. -D.C.
Memphis needs help on the wing, and Grant is poised to fill the Tayshaun Prince role perfectly. Like Prince, he's a rangy small forward with quick feet who can defend and rebound at a high level. Unfortunately, his long range shooting has been as inconsistent as Prince's. Son of Harvey Grant, and nephew of Horace, the 6'8" sophomore showed incremental growth in his two years at Syracuse, and if he continues to develop offensively, could be a steal for Memphis this late in the first round. Some think he's a 3-4 tweener, which is why he's been slowly slipping down draft boards since January, but Grant's length (7'2" wingspan) and upside make him a worthy selection for the Grizz. -J.F. Come on, did you really think I was going to go through a whole mock draft without the Jazz taking a big man? Nurkic has a robust frame, a 7’2” wingspan and has scouts buzzing about his soft touch around the basket. He should make for a capable backup, or eventual starter, should the Jazz decide Enes Kanter isn’t worth the big bucks when his rookie deal runs out. Either way, competition breeds success, and their young front court is about to get a bit more crowded. Hopefully the cream rises to the top. -D.C. It's not hard to tell how Anderson earned the nickname "Slo-mo". His ball handling style can be described as both smooth and deliberate. The 6'9" Anderson is truly an enigma. Is he a point guard or a small forward? Is he more Jalen Rose or Lamar Odom? Will he go in the lottery, late in the first round, or somewhere in between? All unanswered questions aside, the fact remains that Charlotte needs play makers, and the captivating combination of size, ball handling ability, and improved long range shooting add up to a risk worth taking for the Hornet's second selection in the first round. -J.F. Early was the catalyst behind the Shockers shocking undefeated regular season and #1 seed in the NCAA tourny a year ago. The former JUCO transfer averaged more than 16 ppg during his senior campaign and developed an inside-out game that should translate well to the league. There's a good chance Houston moves this pick in hopes of creating enough cap room to land their coveted third star, but if they hang tight they'd be getting a steal with Early, late in the draft. -D.C.
but his unceremonious exit from UNC has led to questions about his moral compass and judge of character. The Heat aren't afraid of taking on a project, and if Hairston can become even a reliable rotation player, he'll be a more successful acquisition& than Michael Beasley or Greg Oden. This is the player that the Knicks have been rumored to be targeting, and reports about them looking to trade Shumpert, or purchase a pick for as much as $3 million in cash, have yet to be refuted. At this point in the draft, teams are looking for upside, and Hairston has plenty of it. -J.F. In our mock draft the Suns have already done quite well for themselves, adding versatile wing James Young from Kentucky and the Most Outstanding Player of the 2014 NCAA tournament, Shabazz Napier. Now it's time to go for best available. In this case, that's Glenn Robinson III, son of former All-Star and Olympian, Glenn "Big Dog" Robinson. At just 20 years old, the lanky slasher is still coming into his own on the basketball court, but he excelled in Ann Arbor this past winter with an increased workload that came as a result of the departures of Trey Burke, Tim Hardaway Jr., and for the majority of the season, Mitch McGary. Look for GR3 to be draining threes in Jeff Hornacek's uptempo offense this fall. -D.C. The ascension of the Blake Griffin-DeAndre Jordan front court combination has been thrilling for the Clippers. However, they've struggled to find a third big man to consistently spell Griffin and Jordan. McGary seems overqualified for this assignment, but injuries and a suspension for marijuana are mostly to blame for his late first-round projection. The Wolverine has shown the ability to do a bit of everything, from scoring to rebounding, fighting for loose balls and even some quality rim protection. Despite limited athletic ability, he has the coveted "high motor", and should certainly be a better alternative than any of the other bench big men LA has experimented with in recent history. -J.F. 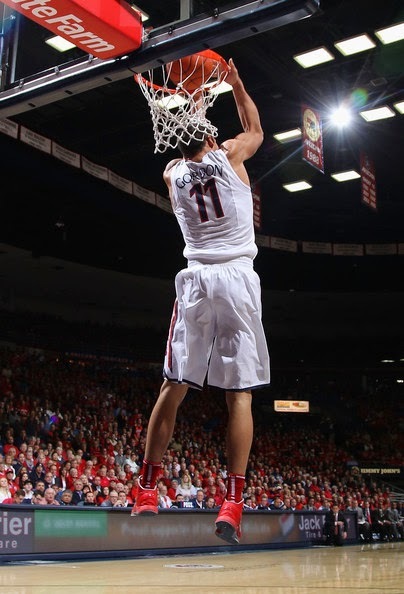 As the saying goes, "You can't teach height," and standing at a towering 7'1", Klimenko would make a great addition to any already long, strong and young front court in OKC. Miraculously, Kendrick Perkins has yet to be amnestied, but if there ever does come a day when he's off their roster, Artem could seamlessly replicate his 3 ppg and 4 rpg nicely, and at a fraction of the cost. -D.C. While Kawhi Leonard has proven himself as a franchise cornerstone in San Antonio, he was also the only true small forward on the Spurs championship roster. The 6'8" Daniels has the range (7'2" wingspan), shooting ability (41.% from three), and high basketball IQ necessary to crack Greg Popovich's 13-man rotation. He and Leonard both posses the ability to play the small-ball four, a strategy employed in the Finals by the San Antonio this season. Daniels gets the privilege of leaving the NCAA National Champion Huskies to join the NBA Finals Champion Spurs, and R.C. Buford continues his tradition of finding valuable talent late in the first round of the draft. -J.F. 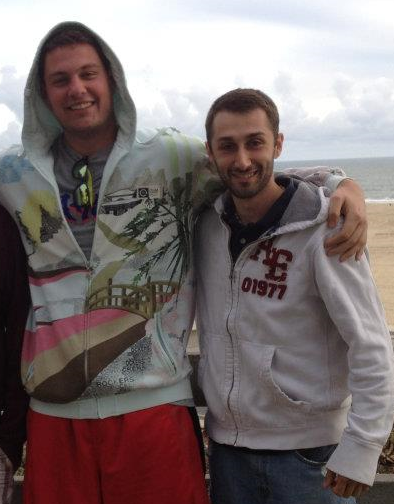 Dan Chiavetta (@danye33) and John Fontanelli (@johnanthony37) met in Scuba class at SUNY Cortland in the fall of '07. They hosted a radio show called "The 3 Man Weave" and have been talking sports ever since. Any feedback/thoughts/disagreements with our mock? Tweet us! We'd love to hear from you. Because all MTV airs is fictionalized romantic internet encounters and lactating teens, I've taken the responsibility upon myself to provide you, the reader, with worthwhile videos to watch. This installment features the latest from OK Go, a band I admittedly haven't paid attention to since 2007's Grammy winning "Here It Goes Again." Regardless, their new video "Writing's On The Wall," has taken the internet by storm, garnering close to one million views in just one day! The video took 50 takes to get right, and is guaranteed to leave your head spinning. It may not have been Phil Jackson's first choice, but the Zen Master finally inked one of his own to come coach the New York Knicks. 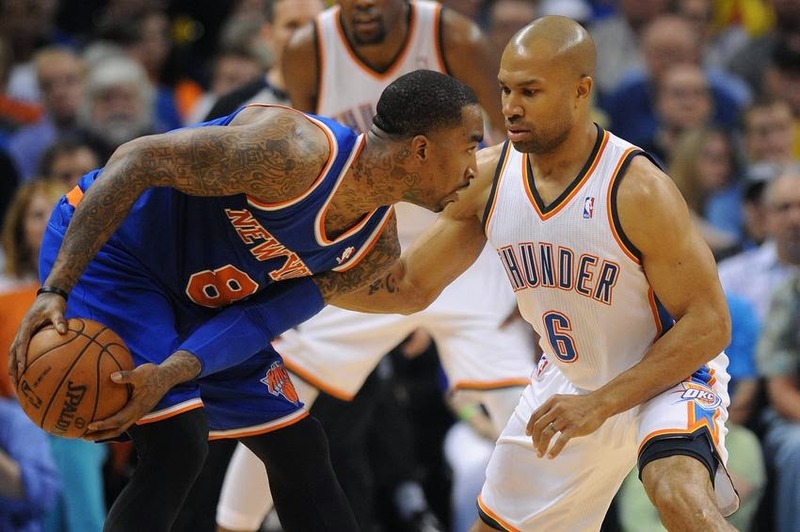 Derek Fisher, the 18 year NBA vet last seen two weeks ago vying for a NBA Finals appearance with the Oklahoma City Thunder, agreed to a 5 year/$25 million dollar deal to come to the Big Apple on Monday. Fisher has no coaching experience, but with five NBA titles and close to 260 playoff games under his belt, he is no stranger to success on the basketball court. His familiarity with the triangle offense, and his assumed approachability with Phil, made him a ideal candidate for the job. Especially after Jackson's first choice, Steve Kerr, signed with the Warriors, following a low-ball offer from Knicks owner James Dolan. With the head coaching spot finally solidified, the next step will be constructing a roster that gives Fisher and the Knicks the best chance to succeed. The obvious question mark in all of this is All Star forward Carmelo Anthony, who intends to opt out the final year of his current deal come July 1st. The Knicks can offer him more years and money than any other team once he hits free agency, which keeps them at the forefront of the Carmelo sweepstakes. But Jackson has already alluded to wanting Melo to sign for less than the max, and Anthony's desire to win-now as he approaches the back end of his career may see him bolt to form his own "Big 3" before it is too late, most likely in either Houston or Chicago. Melo leaving would actually be the Knicks best case scenario moving forward. As their roster stands now, there's no chance they could possibly dethrone LeBron's Heat (let alone the Wizards or Pacers) in the foreseeable future, but there is a light at the end of the tunnel. A sign and trade deal could potentially net them multiple first round draft picks (something they have never been on the receiving end of in the Dolan era) and perhaps some young talent like Jimmy Butler, Nikola Mirotic or Chandler Parsons. New York will also shed $50 million dollars from their cap once Amar'e Stoudemire, Andrea Bargnani and Tyson Chandler come off the books next summer. Moving Melo would help weaken their roster, increasing their odds of stumbling into a high lottery pick (Jahlil Okafor, anyone?) in the 2015 draft. If you look around the league, every serious title contender features at least one star player whom they acquired through the draft. In most cases it's two or more (Spurs, Thunder, Pacers, Clippers, Blazers, Bulls), though the Heat and Rockets are exceptions to that theory for obvious reasons (they were able to sign *multiple* top 10 players during the primes of their careers). The Knicks already dealt away their 2016 first rounder last summer (along with two second rounders) for Bargnani, in a deal that seemed just as boneheaded then as it does now. That makes the Knicks 2015 pick all that much more valuable. Anything less than a home run could mean as many as five more years of mediocrity. The Knicks have had an impressive track record when it comes to drafting rookies in recent years (Landry Fields, Iman Shumpert and Tim Hardaway Jr. all made First Team All Rookie), though they'll find themselves sitting on the sidelines when the draft heads to Brooklyn's Barclay Center at the end of the month, as a result of 2011's blockbuster deal for Anthony. The #12 pick in the draft now belongs to Orlando, by way of Denver, and could very well wind up being an immediate impact player like Nik Stauskas, Gary Harris or Doug McDermott. Regardless of who the Magic pick, it will sting for Knicks fans, though I can't fault them for including that pick in the deal. It had to be done, but it goes to show how valuable assets like first round draft picks are. If New York can flip Melo for future picks it would provide hope of a better tomorrow for the smart fans of the organization who realize they are in no position to contend for a title in the present, and lower Fisher's immediate expectations with the team, allowing him to grow as a coach without the unreasonable high expectations that have derailed so many others before him. I'd take that over a second round exit any day. OHHH KILL 'EM indeed! Stop the fight! Terrio just cuckolded every trashy, Jersey Shore wannabe chick whose ever posed for a duck face selfie. 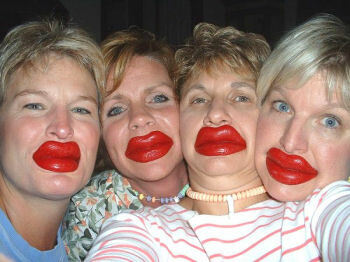 Oh you think your lips puff out far? Well mine can literally touch my nose. Looks like he's wearing one of those obnoxious red wax lips, but nope, those things are real.... and they're spectacular. Without a doubt the greatest thing to come from the Heat's dynasty has been Dan Le Batard's epic rants following the team's numerous playoff series wins (11 in a row for those of you counting along at home). The Heat knocked off the Pacers in game 6 Friday night in Miami, prompting Dan to go all 300 bars and runnin' on the state of Indiana. He thew 10 straight minutes worth of jabs (including a special cameo from Heat grandma) and proved once again that his job is more fun than yours. Below are my ten favorite one liners from his latest installment. Rashard Lewis is the black Mike Miller!!!! HOOSIER STATE! HOOSIER STATE! I ASK YOU ONCE AGAIN- WHO'S YOUR DADDY? Stugotz what do you call a beautiful person in Indiana? A visitor!! You blow in our ear...We'll snort blow off your rear!!! The Indianapolis 500 isn't a race, the Indianapolis 500 is your basketball team's record since the All-Star break!!!! More than one hundred species of trees are native to Indiana, and Michael Beasley finna smoke all of them. Indiana's football owner gets arrested with $29,000 in a briefcase and drugs in a laundry bag. You call that a scandal, we call that a MONDAY! Game 7's and Paul George's internet girlfriend have something in common- neither of them actually exist!! They are fantasy... and one of them is a dude!! You have cities named French Lick and South Bend.... We have strip clubs that offer the French Lick AND the South Bend! Paul George's house was burglarized. Found missing- $16,000, an All-Star ring, a Flex watch, a pair of Air Jordan 4 Toro's... AND ROY HIBBERT!!! !